🔥 Creative Idea Concept Illustration In Modern Outline Design With Human Brain As Electric Light Bulb. 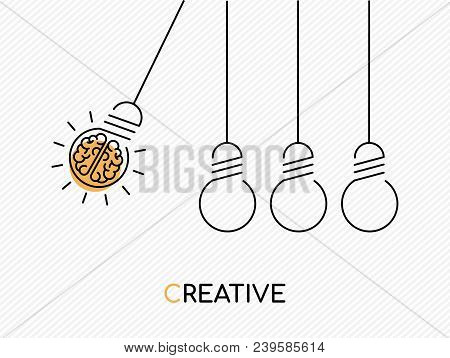 Creative idea concept illustration in modern outline design with human brain as electric light bulb. EPS10 vector.